Regardless of the fake bombs, the Pittsburgh shooting or the migrant invasion. Nobody is going to vote democrat. (( a long term sleeper ? He was intimidating the civilian population. Just because they're members of congress doesn't remove them from the civilian population. That's one of the big points of having the President as CIC -- He's a civilian. If the President is civilian, so are members of Congress, and if members of Congress are, then people who used to be members of the government but are back in their private lives would be even moreso. As far as dangerous to humans? We really don't know how dangerous these actually were. The wording we are getting from law enforcement and the Feds keeps dancing around this directly. None of those devices had to be exploded which says they were pretty darn incompetently put together for all that they might have had some kind of explosive material inside them, but fireworks have explosive material inside them too, and how much do we consider them directly dangerous? How many of us buy and fire them off with our families, including children, every year? Without directly knowing more on this, we can't say. And as for directly trying to influence policy, we also can't say. We simply don't know enough. His van and his actions are the biggest indicators we have, and they aren't specific. Several of his devices went to people who really aren't in any position to affect current policy beyond opening their big mouths. We don't actually know specifically what he wants. Tragically, we know about the synagogue shooter than we do about this guy's motives and aims beyond sending possible bombs to prominent leftists for ... reasons. To fully nail down the true definition as you list it, we do actually have to know more because right now, we're directly checking one box. It won't surprise me if we check off at least one if not the other two, but right now, we don't know for sure. Certainly, there ought to be enough to put this guy for a long time in either case. The first question is, the 13 devices that were mailed, were the functional bombs? If they were not functional, then there was never any action ‘"dangerous to human life". So that he mean he’s not a domestic terrorist. I would say yes to intimidate, but I think saying the civilian population is a stretch. or (iii) to affect the conduct of a government by mass destruction, assassination or kidnapping. If the devices were not functional, then all of iii is out too. Terror...created on domestic land. Pretty clear to me....! 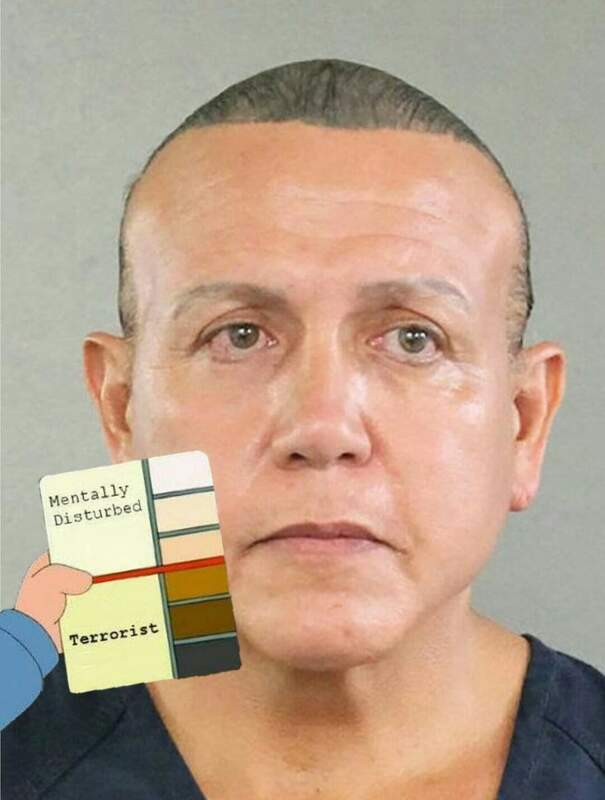 Is Cesar Sayoc a domestic terrorist?? I posted this in another thread last night imgur.com... and everybody seems to be going over the stickers in the back right hand window of his vehicle ?